Back in 2009 I was looking for something to fill the last week of my summer holiday. I had always wanted to try scuba diving so I looked at places in Asia. Yes, their courses were cheap but the airfare made it more expensive than doing it in the Med. So I found a dive shop in Sardinia and booked myself in. 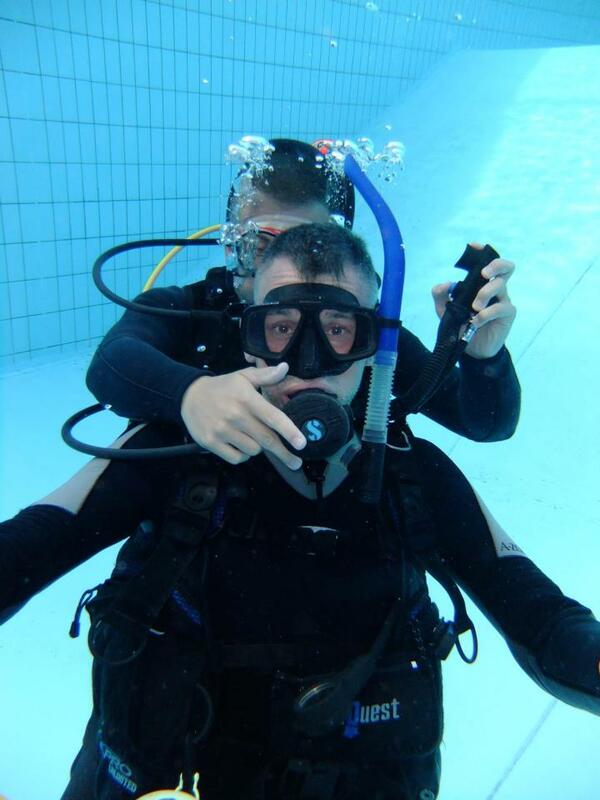 During that week I completed both my PADI Open Water and Advanced Open Water courses and until 2012 I only managed to do a couple of dives a year. It wasn’t until my friends became interested in diving that things stared to snowball. In the October of 2012 a group of us went to Malta. Some did the Open Water course, some did both the OW and AOW courses and I did the Rescue Diver course. I enjoyed diving there so much that I decided to continue pushing my diving skills and work towards becoming an instructor. On October 27th 2013, a year later, I achieved that goal. What’s next? I always want to be the best that I can, so who knows I could become a course director in a few years time. I have now started branching into technical diving, by completing my IANTD Advanced Nitrox and NACD Full Cave course.